Angelika Neuwirth is Professor Emerita at Freie Universität, Berlin. In this book, Angelika Neuwirth provides a new approach to understanding the founding text of Islam. Typical exegesis of the Qur’an treats the text teleologically, as a fait accompli finished text, or as a replica or summary of the Bible in Arabic. Instead Neuwirth approaches the Qur’an as the product of a specific community in the Late Antique Arabian peninsula, one which was exposed to the wider worlds of the Byzantine and Sasanian empires, and to the rich intellectual traditions of rabbinic Judaism, early Christianity, and Gnosticism. A central goal of the book is to eliminate the notion of the Qur’an as being a-historical. She argues that it is, in fact, highly aware of its place in late antiquity and is capable of yielding valuable historical information. By emphasizing the liturgical function of the Qur’an, Neuwirth allows readers to see the text as an evolving oral tradition within the community before it became collected and codified as a book. This analysis sheds much needed light on the development of the Qur’an’s historical, theological, and political outlook. The book’s final chapters analyze the relationship of the Qur’an to the Bible, to Arabic poetic traditions, and, more generally, to late antique culture and rhetorical forms. 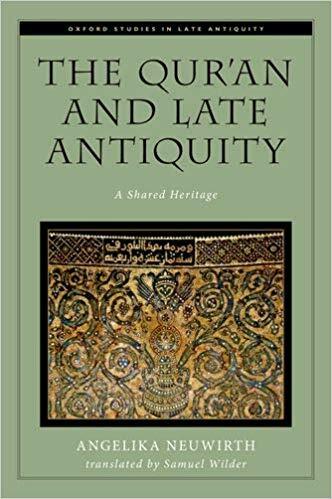 By providing a new introduction to the Qur’an, one that uniquely challenges current ideas about its emergence and development, The Qur’an and Late Antiquity bridges the gap between Eastern and Western approaches to this sacred text.